A dense grass that can tolerate sun and shade, tall fescue (Festuca arundinacea) is a cool season plant that can extend into transitional locations across the country. It’s a favorite with folks who want a low-maintenance yard that looks like they spend more time on it than they actually do. Although tall fescue prefers mild temperatures, it’s adaptable, drought tolerant and doesn’t require regular feeding. 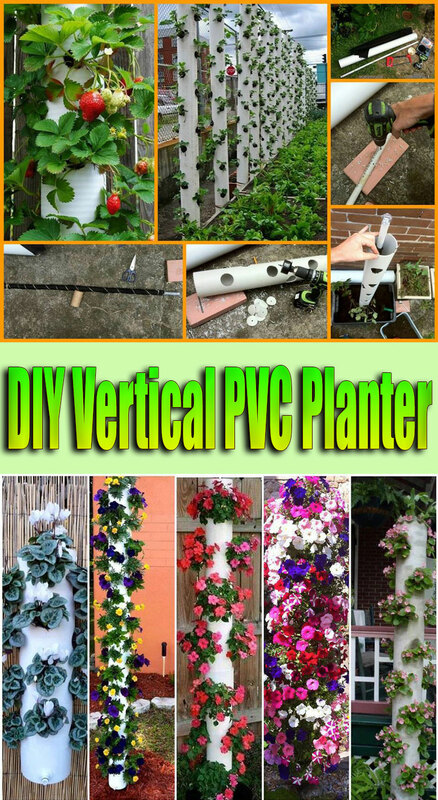 It can stand up to foot traffic, and modern cultivars are hardy and free of pest problems. Older tall fescue varieties were less attractive than today’s stock, with a weedy, light green appearance. If you haven’t seen some of the newer incarnations of this grass, don’t discount it without checking them out. 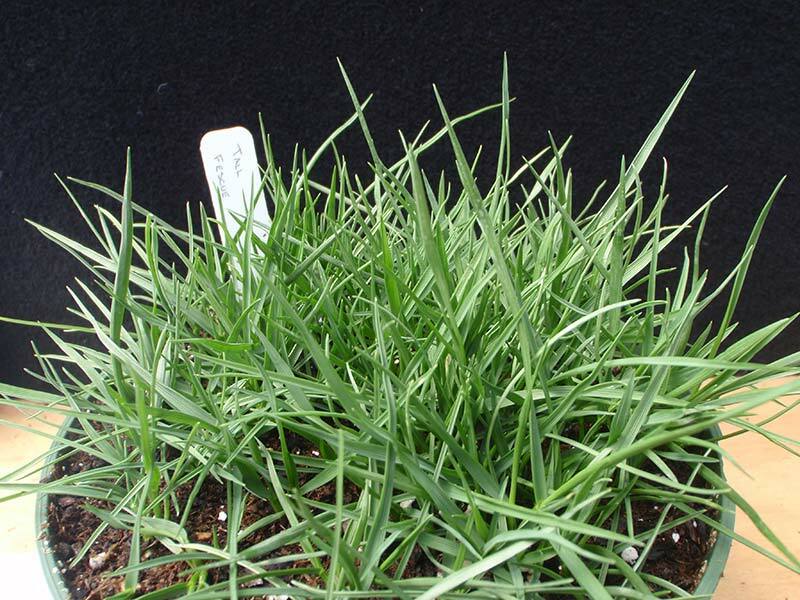 Narrow bladed, brilliant green and requiring only moderate feeding, modern tall fescues are a good choice for gardeners who want a nice looking lawn but don’t want to spend long hours working in the garden. There are over 30 different varieties of fescue grasses. Shade Tolerant: Though it varies by type, fescue grasses in general can tolerate more shade than other cool-season lawn grasses and are frequently included in shade-tolerant seed mixes. Drought Tolerant: All grasses need water, but fescues are moderately drought tolerant and slower to go dormant than other cool-season grasses. Erosion Resistant: Fescues – particularly coarse, clumping varieties – become established quickly and are great for slopes and erosion control. Traffic Tolerant: Fescues hold up well in heavily trafficked areas and are often used for home lawns, playing fields, and other areas that get a lot of foot traffic. Tolerant of Poor Soil: Many varieties of fescue are easy to grow even in compacted, clay-based soil and low-fertility, sandy soil. Fescue grasses are generally divided into tall and fine varieties. This broad-leaved grass is the most heat and drought tolerant of all fescues, but it’s coarser in texture. 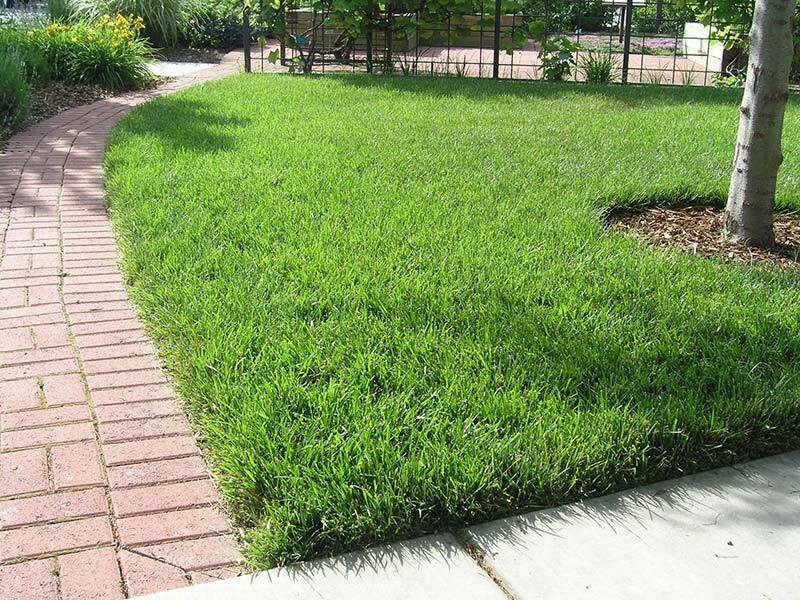 Tall fescue is the type more often seen in common lawn seed blends. 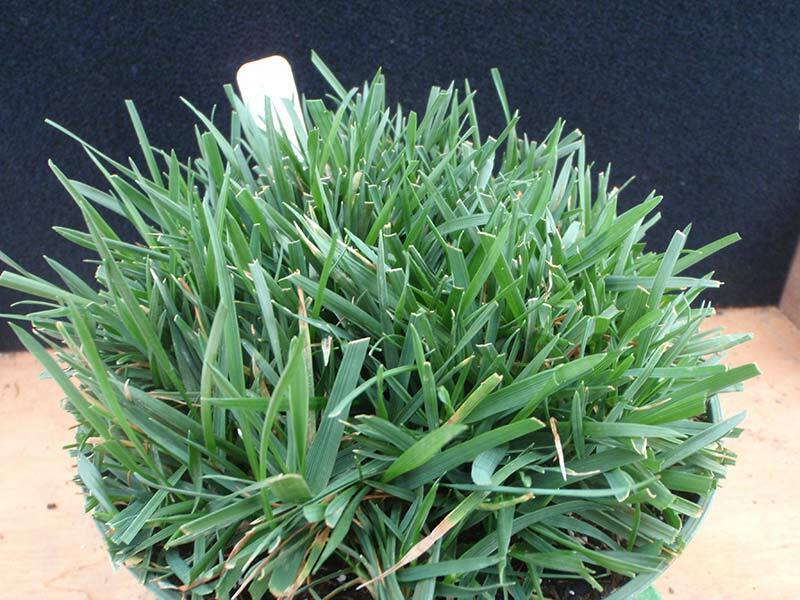 Chewings Fescue: The fescue with the finest texture, chewings fescue also has an upright clumping growth habit. It’s a little less traffic tolerant than other fescues but tolerates poor and sandy soil, so it’s often mixed with other seed blends for shady and tough areas. Creeping Red Fescue: This type of fescue is very fine textured and grows by rhizomes that creep underground. Its shade tolerance and ability to spread makes creeping red fescue a great choice for shady lawns. Hard Fescue: This slow growing grass has a deep blue-green color and is the most heat tolerant of the fine fescues. 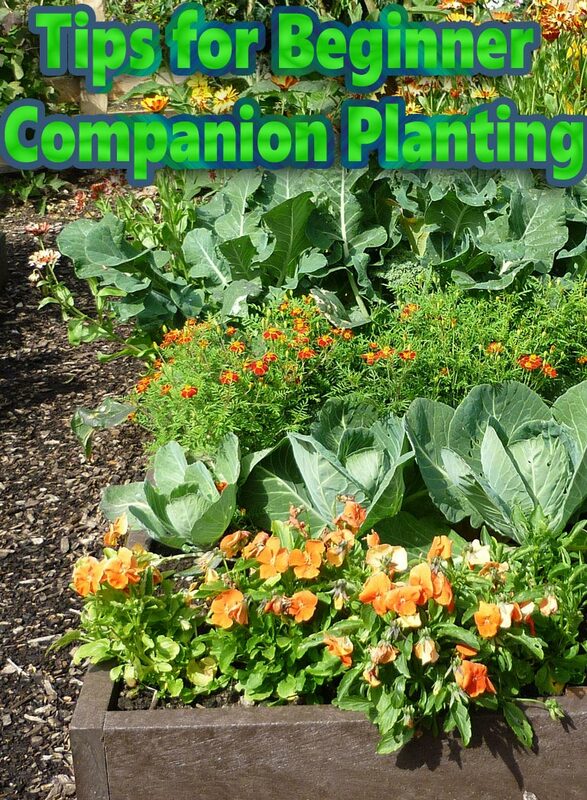 It tolerates salt, drought, poor soil, and shade. Hard fescue is slow growing and is often used for unmown meadows, where it tops out at about 6” tall. Sheep’s Fescue: This fescue grows in large clumps, up to 16” tall, and is often used for erosion control and naturalized areas. Planting: Fescues are most often grown from seed, though sod is also available. 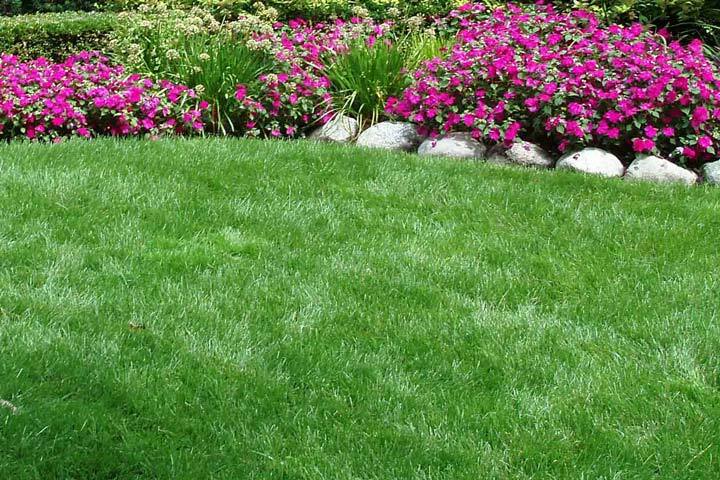 For best results, plant new fescue lawns in the fall and overseed thin spots in the spring or fall. Soil Preparation: Aeration, topdressing, liming, and other types of soil improvements for fescue grass should be done in the fall. 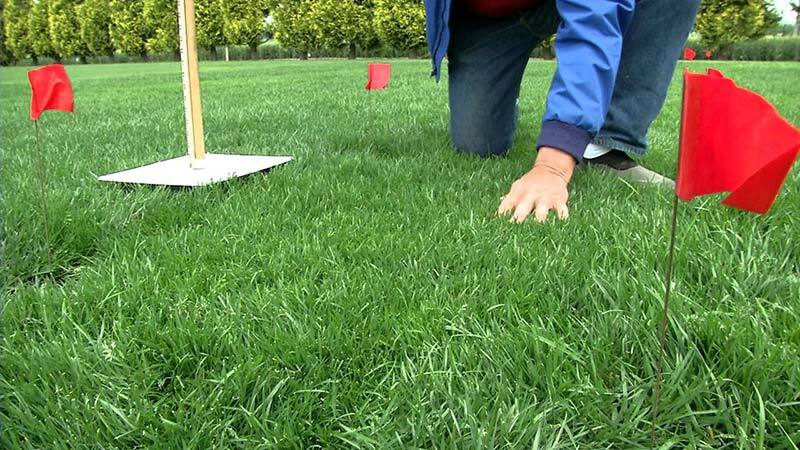 Fertilizing: Fescue lawns should be fed three times a year; once in spring (around April) and twice in the fall (usually September and October). Do not fertilize during hot weather, or your lawn will risk drought damage and fungal disease. 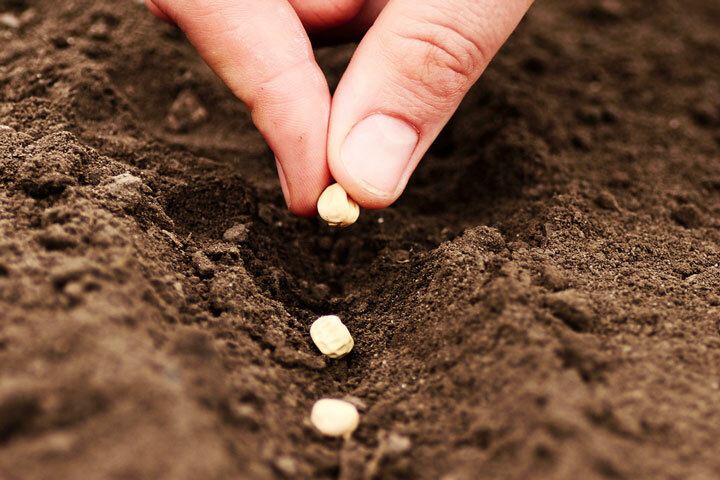 Use a fertilizer with a higher ratio of nitrogen, such as 3:1:2, or a starter fertilizer for newly seeded lawns. Mowing: Most fescues should be mowed 2”- 3” high during spring and fall, and 3”- 4” high in summer. Fine fescues can be mowed a little shorter than tall fescues, especially of the blades have a tendency to flatten down and look trampled. Watering: Fescues need less frequent watering than other types of lawn grasses, but the soil needs to be moist about 4”- 6” deep. Make sure your lawn gets at least 1” of water per week during spring and fall. If you have sandy soil, water more often. If you have compacted clay soil, water until it starts to run off, then stop and let it soak in before continuing. Keep watering during summer if desired, or allow the lawn to go dormant. Summer Dormancy: In areas with hot summers, fescue lawns can be allowed to go dormant during the hottest season. They’ll turn somewhat brown and will almost stop growing until the weather cools. Even dormant lawns still need water, but it can be reduced to about once every three weeks. Winter Care: Stop feeding fescue lawns when freezing weather approaches. Keep leaves and debris picked up, and keep mowing if needed.